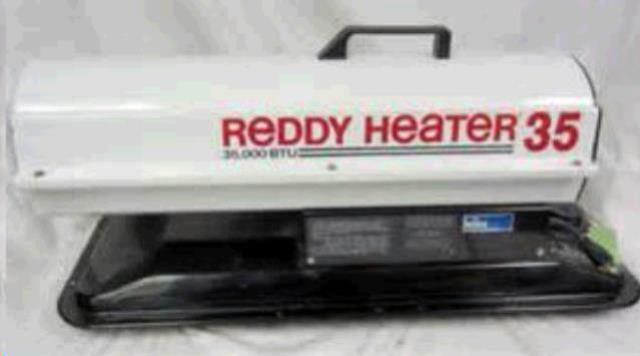 Reddy Heaters R35 - 35,000 Btu/Hr. R35 Heaters Heat up to 2200 sq. Ft.
* Please call us for any questions on our heater kerosene 35k btu rentals in Toledo OH and Perrysburg OH, serving the Toledo metro area.